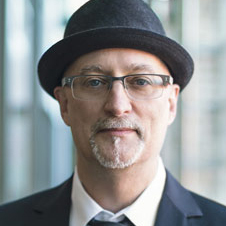 Steve Keller is CEO of iV, an audio brand consultancy based in Nashville that specializes in the strategy, content, research and management necessary for successful audio branding initiatives. Since its launch in 2005, he has grown iV beyond the confines of the United States and into Europe, with the opening of iV2 in Frankfurt, Germany in 2009. A self-described “sonic alchemist,” Steve is recognized as one of the world’s leading experts in the field of audio branding, blending art and science into award winning strategies and creative content for a long list of global agencies and brands. He’s also actively engaged in various research projects exploring the power of sound to shape our perceptions and influence our behavior. With a head for data and a heart for sonic expression, he’s an in-demand speaker, sharing his insights at international conferences (TEDx, MIDEM, Cannes Lions International Festival of Creativity, Eurobest, Dubai Lynx, Transform Hong Kong, Transform London), professional organizations (AMA, AAF, Audio Branding Academy) and universities. In addition to a BA in Psychology with a focus on research, social psychology, and group dynamics, Steve has over 25 years of experience in the music industry as a producer, remixer, composer, independent label executive, music publisher and manager. When not bouncing back and forth between Nashville and Frankfurt, Steve enjoys photography, gastronomy, and exploring the relationship between chaos and creativity.